This upcycled Bucky is made from vial caps and other small plastics normally discarded during the course of patient care and surgery. 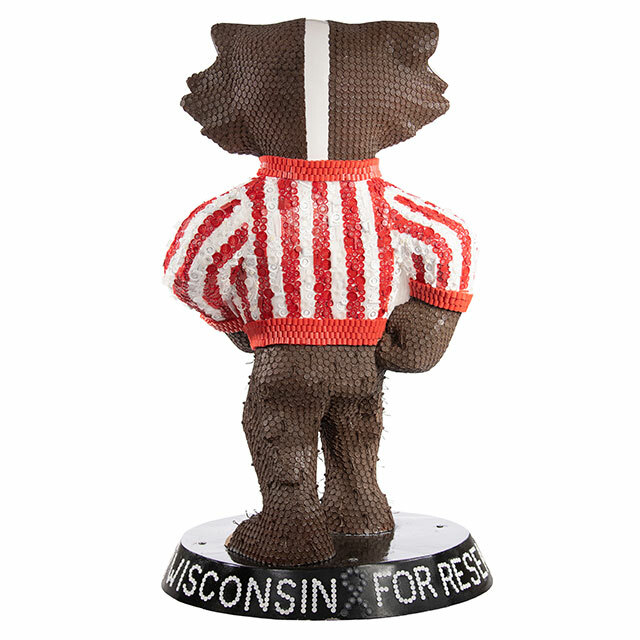 The logo on Bucky’s chest represents his sponsor whose mission is printed around the base — For Research and Care. For a Cure. For Wisconsin. 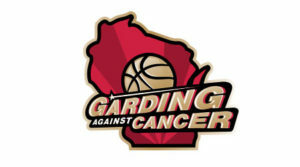 Garding Against Cancer raises money for cancer research and patient care around our great state. 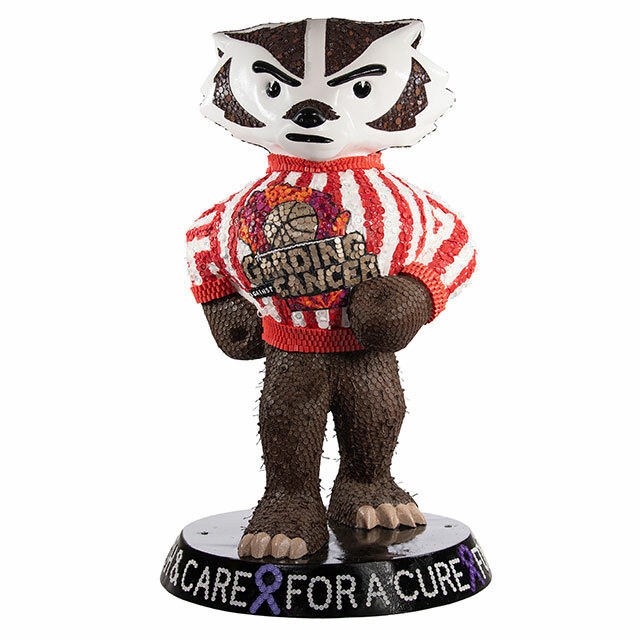 The cancer ribbons represent all cancers (lavender), cancer survivors (purple) and brain cancer (gray) which is placed in honor of Greg Gard’s father, whose cancer journey was the inspiration for establishing Garding Against Cancer. I started collecting vial caps at work a few years ago. The caps cover the rubber stoppers on medication vials and we used to just flip them into the trash. But because they are so colorful, I thought they would make a fun rainy day art project for my girls. Eventually, I put out containers at our surgery centers for others to place caps in as well. With the help of the art director, we now have a group who assembles to sort vial caps or help create the latest piece of art we are working on. The vial caps and small plastics can also be recycled when collected all together.